Most of you are familiar with the Video Doorbell Pro by this point - it comes with 1080p recording, 5GHz Wi-Fi support, a silent doorbell mode, and customizable alert zones, on top of the standard weather resistance, IR night vision, and theft protection. This $199.99 price isn't the lowest we've seen, but it's still a solid discount if you were looking to pick one up. The Floodlight Cam in black. The Floodlight Cam, on the other hand, is probably less well-known. It's exactly what it sounds like: the combination of a floodlight and a camera. It offers 1080p recording, a 100dB speaker, 270 degrees of motion detection, smart LED lights, and IR night vision. Like the Doorbell Pro, it retails for $249.99, but Best Buy is dropping the price to $199.99 for members. It's available in black and white. 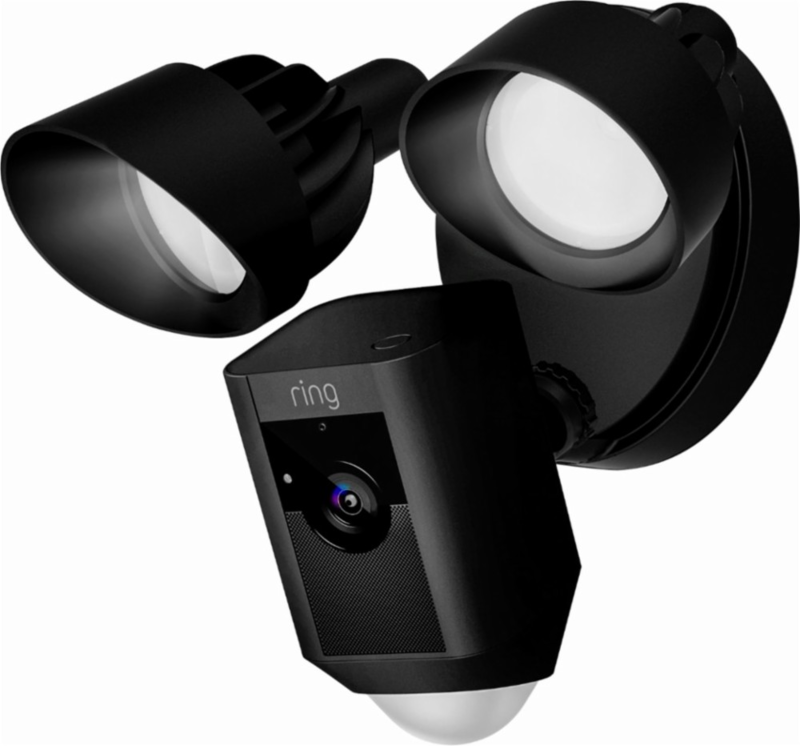 Lastly, the Spotlight Cam wire-free 2-pack is down to $299.99 from $349.99. This is a basic wireless smart camera setup with 720p recording, adjustable motion sensors, LED spotlights, and a 110dB alarm. All of these deals require you to be a Best Buy "member," but that just means that you have to go through a 60-second account signup process. Chances are that you're already a member if you've purchased anything on Best Buy's site before anyway. Hit the source link below to take advantage of any of these deals.